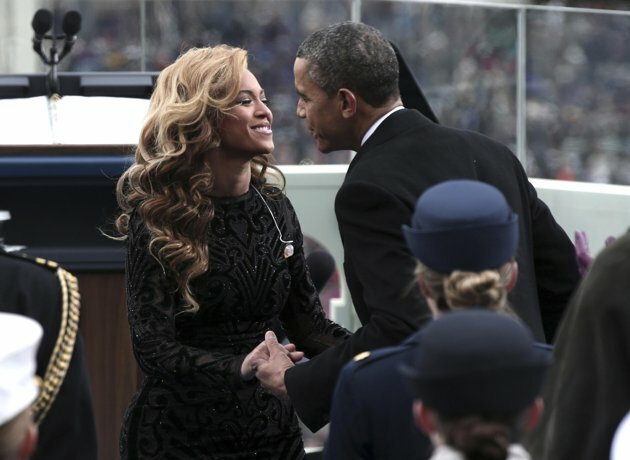 Associated Press/Win McNamee, Pool – President Barack Obama greets singer Beyonce on the West Front of the Capitol in Washington, Monday, Jan. 21,2013, after she sang the national anthem at the ceremonial swearing-in ceremony during the 57th Presidential Inauguration. via INAUGURATION WATCH 2013: Americans assess; what’s ahead – Yahoo! News.